Home » Bankruptcy » Can Bankruptcy help with a Lawsuit Judgment? Imagine that you are unexpectedly involved in a motor vehicle accident in St. Louis, and another motorist suffers serious injury. That injured person may try to recover for medical bills and other losses by claiming you were negligent and filing a personal injury lawsuit against you. If the court finds in favor of the injured party, you may find yourself owing a large amount of money, most of which your insurance refuses to cover. You know it is impossible for you to pay tens or even hundreds of thousands of dollars to the motorist and keep up on your bills, so you are likely wondering if bankruptcy may be an option. 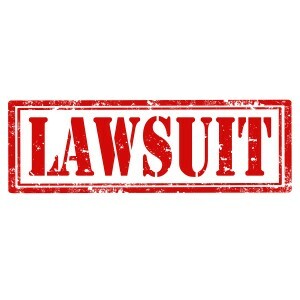 If no malicious or willful action led to your lawsuit judgment, you may likely have the judgment discharged by filing for Chapter 7 bankruptcy. However, bankruptcy filing does not protect you against judgments under all circumstances. The best way to find out whether filing for bankruptcy in Missouri can protect you from existing or anticipated future judgments is to consult with an experienced St. Louis bankruptcy attorney. An attorney will be familiar with all of the rules regarding bankruptcy as they apply to lawsuit judgments and can advise you on the best course of action. Lawsuit judgments are only one type of debt that can cause you to struggle financially. 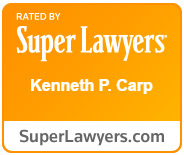 No matter what type of debt you are facing, the Law Offices of Kenneth P. Carp can help you get back on your feet. Do not hesitate to call us today at 636-947-3600.